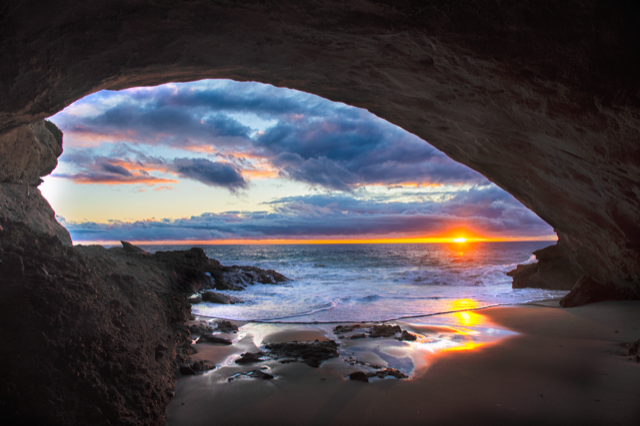 It was a soggy day here in SOCAL yesterday but I decided to take a chance and hike out to a cave near Laguna Beach for sunset. I got lucky! This is my first attempt at blending 2 images in PS. I took one exposure focusing and exposing for the cave and then a second for the sunset. I had to spend A LOT of time on Youtube to figure it out :) Any tip's, suggestions or critiques are welcome. Hi Randy, thanks for posting. I think you have done an admiral job with the focus/exposure stacking, not just in post but having the foresight to plan from the outset. 1) I'm not certain but the horizon seems to slope to the left very slightly. I could (and expect to) be totally wrong (I'm sure you'll tell me you checked) but thought it worth mentioning. 2) I'm sure many will adore the sky but it's a little over contrasty/saturated for me. That's purely a personal preference as I like my nature to stick close to reality. Like I said, I'm certain that others will love it and the only opinion that matters is your own. Overall a wonderful image that is hard to fault. Thank you Alan. Really appreciate your comments! Thank you Jeff. I agree a tighter crop may work better. I was actually looking at pulling in a bit tighter on the bottom before I read your comment. I'll play around with pulling it in all around for sure and see what it does. 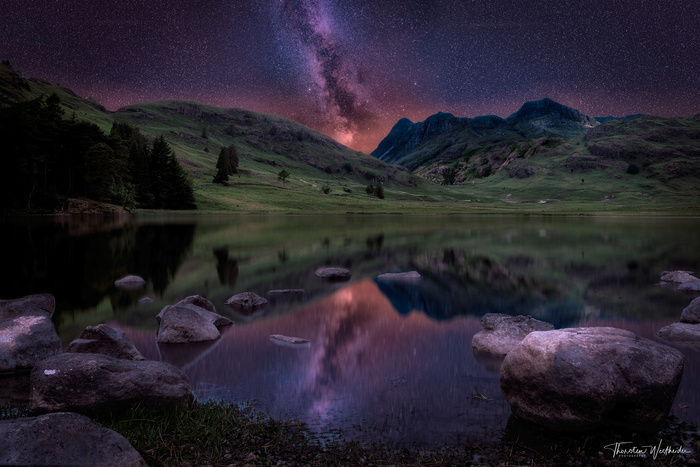 Interesting composite, I quite like it. Like Alan said, the horizon is sloped and I'd definitely address that. There's something wrong with the reflection inside the cave though, it doesn't work for me and I can't quite say what it is that bothers me. Also, the upper part of the cave entrance doesn't fit 100% in, shouldn't there be light at the edges? And shouldn't the sun shine a light on the floor in front of the puddle (seen from a viewer's point)? These things are hard to get right. In the attached image I had to build the reflection from scratch and it still isn't a convincing picture.